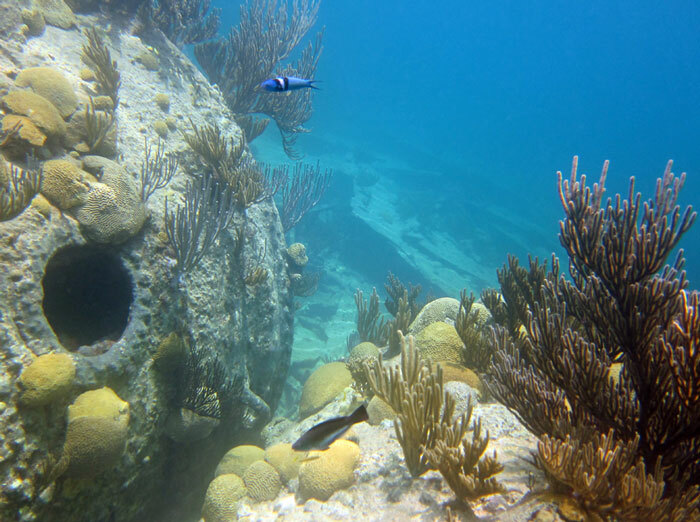 There are six Bermuda shipwreck snorkeling spots that are easy to access and pretty fun to explore. You can get to them either from shore, by boat tour, or by renting a boat. 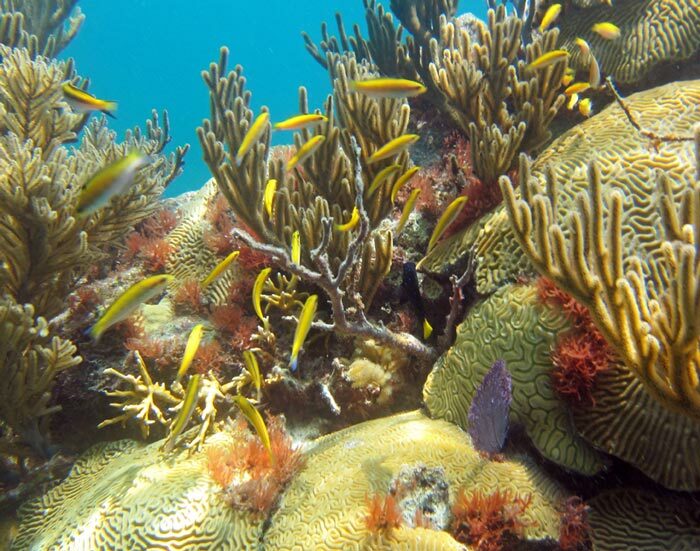 We are not normally attracted to snorkeling shipwrecks, preferring sea life. But our reviews of these are positive, because of the mix of sea life, recognizable wreckage, and good depths for snorkelers. Most of the wreck snorkeling in Bermuda is in fairly shallow water, at most thirty feet deep, so you can fairly easily view these old ships. 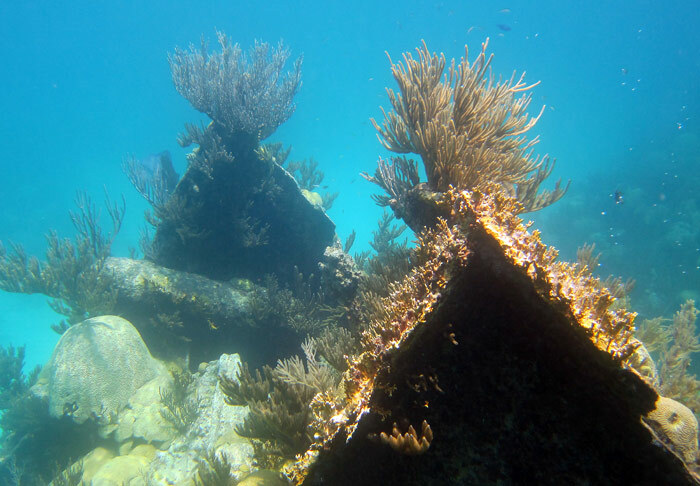 Thanks to the barrier reef surrounding the island there are at least 150 known shipwrecks. 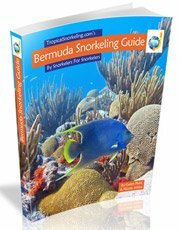 There may be more that are good for snorkeling, but they are not as easy to get to and would likely require going out on a dive boat. 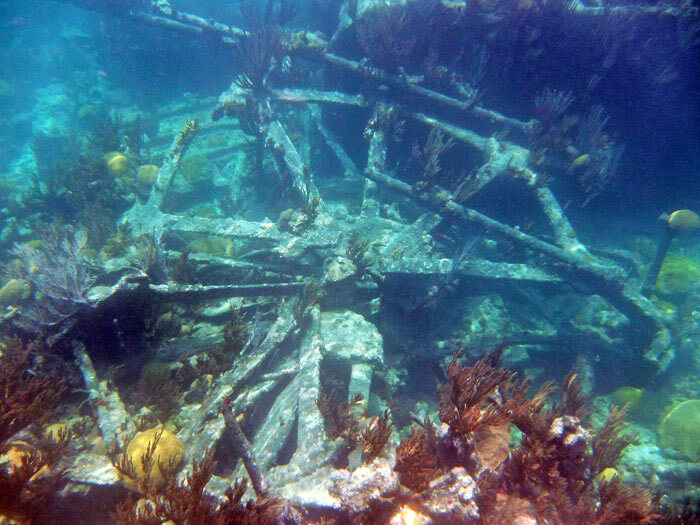 There is a good bit of history and folklore surrounding the shipwrecks in Bermuda. You can't talk to a local about Bermuda shipwrecks without the famous treasure hunter Teddy Tucker and his gold cross treasure coming up. It was the most valuable piece of ship treasure ever found. At some point it was discovered that the one on display was a forgery and that the original had been stolen. These two ships are located at nearly the same spot, in Western Blue Cut, and a number of boat excursion companies take snorkelers there. 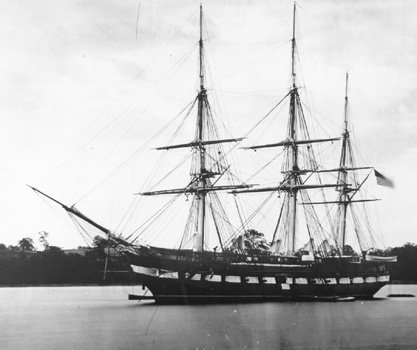 The Constellation was a 192 foot, four masted sailing ship built in 1918. After changing hands over the years, the ship made it's final voyage, the last wooden cargo vessel to leave New York Harbor in 1943, headed for Venezuela. She started taking on water and detoured to Bermuda for repairs, but met her end on the reef. Her crew survived, but the cargo did not. She was carrying 80,000 pounds of cement in bags, 700 cases of whiskey, and medical supplies. Today you can see the piles of cement bags hardened by the sea water. There are a number of fish who use the bags as a home. In particular Sergeant Majors often have nests of eggs on these bags and protect them. So don't get too close because they could attack you. The Montana is much older. It was a 236 foot paddlewheel steamboat, that wrecked in 1863. Some think that the Constellation may have actually wrecked on the bow of the Montana; they are that close. It's interesting Bermuda shipwreck snorkeling because it has a good amount of coral growth on it, and offers plenty of shade spots for fish. Plus you can still clearly see the two giant paddlewheels and you can also view her giant steam boiler tanks. Both of these Bermuda shipwreck snorkeling spots are busy with boats, so keep an eye out for any coming your way. This ship is again in Western Blue Cut, a short distance west of the Montana and Constellation. What's nice about this one is that it is in even shallower water, so a snorkeler can really explore it and see things up close. It was a 245 foot steam tramp (powered by steam and sail), that sunk in 1879. For having wrecked over a hundred years ago it is in very good shape. You can make out the bow, some boilers, the drive shaft and mangled propeller and much of the ship's lower hull. To get there, take an excursion to the Montana/Constellation and ask your guide if you can swim over to the Lartington. The Vixen is about 1500 feet offshore from Daniel's Head. 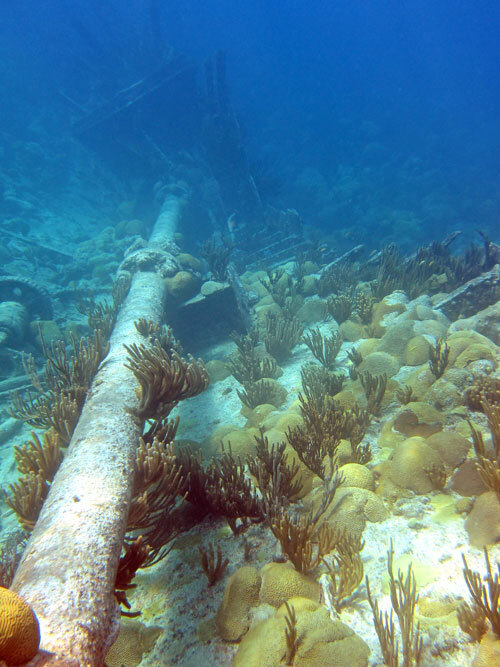 This wreck is a very popular destination for glass bottom boat tours. 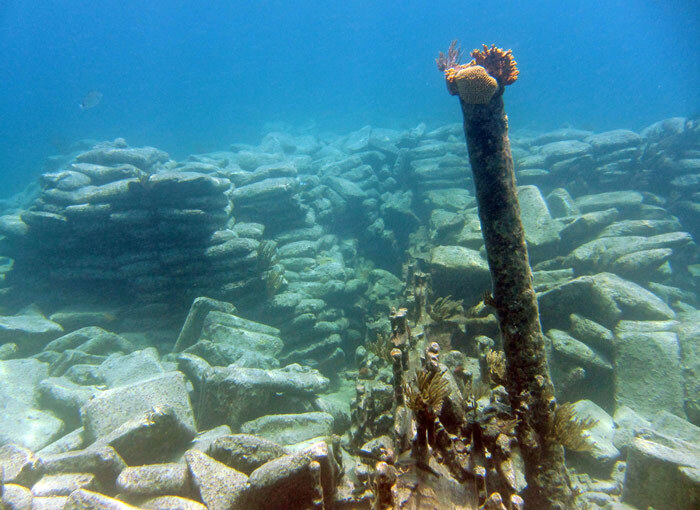 While this is a possible Bermuda shipwreck snorkeling spot, most people don't do it during the summer months because of all the boat traffic. Besides the danger of being struck by a boat, there is a lot of wake from boats going by in the nearby channel, and there can be a current. It is also a destination for jet-ski tours. For all these reasons we can't recommend it as a summertime snorkel spot and suggest that you don't try to swim out to it. But some tours will let you snorkel it, and you can also rent a boat to go out to it. The Vixen was an armored gunboat. She was experimental, being the first twin screw ship in the Royal Navy, and she was of composite construction, with iron frames and bulwarks, but clad in teak and then copper. She was a big failure, being very slow and not seaworthy. She was intentionally scuttled across the channel to limit access to the shipyard. Although it is a long swim, about 1300 feet, you can access this shipwreck from Elbow Beach on the south shore. You have to have the right water conditions and be in good shape to do this. 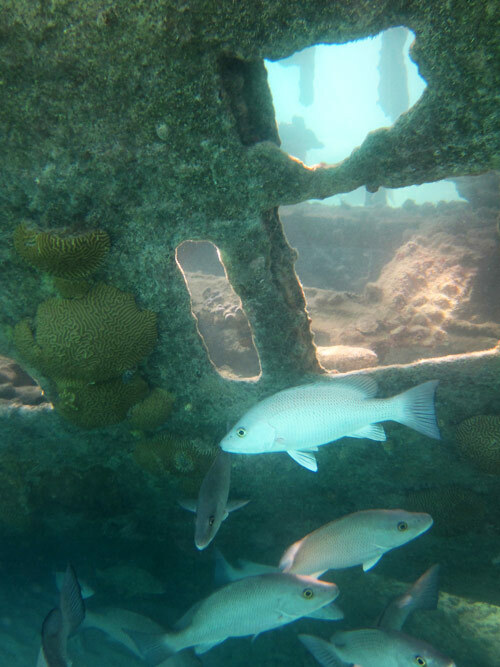 This Bermuda shipwreck snorkeling gets a good review from us because you swim out over a nice reef with a decent number of fish until you get to the Pollockshields. And the wreck itself is fairly interesting, with lots of industrial ship debris. The Pollockshields was a big cargo steamer at 323 feet, built in 1890. She was originally a German naval ship, but was captured in WWI in New York by the English. 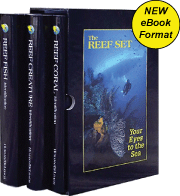 In 1915 she was caught in a storm and struck the reef off Bermuda. She used to have two big sections sticking out of the water but it was blown up to clear it. She was carrying live shells and munitions, and apparently they are all over the area, although we did not notice any. If you see a shell, leave it alone. 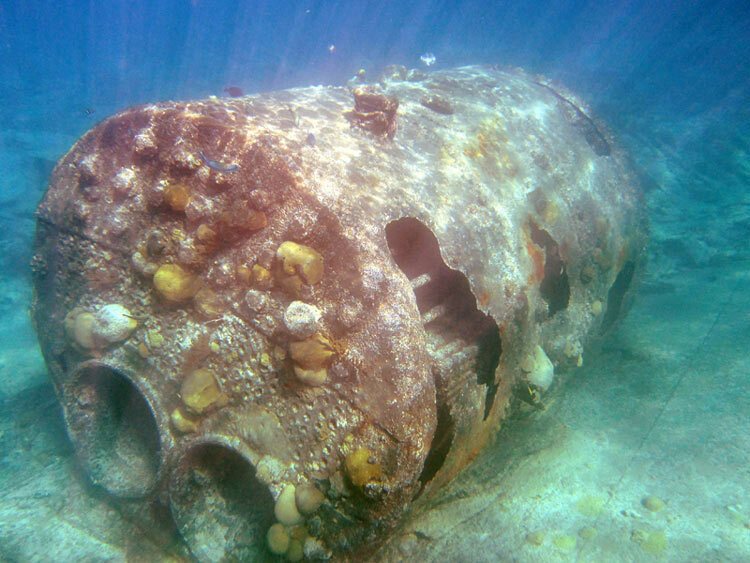 You can see a huge spare propeller, boiler and engine parts inside the reef edge. Outside in deeper water you can follow the side of the ship and drive-line down to the old bent up propeller. You can rent an underwater scooter from the dive shop at Elbow Beach to help you get out to the Pollockshields, and they also do kayak snorkel trips. Nonsuch Island is a wildlife sanctuary off the east entrance to Castle Harbour. You are not allowed to get on the island, but you can rent a boat and snorkel the shipwreck that is just offshore. The shipwreck is small, in shallow water, and is fairly interesting to view. And there are a lot of fish who use it for protection and shade. Besides the wreck there is not much else in the area of interest to snorkel. So you will have to weigh for yourself the cost of the boat rental. We probably would not do it just for the snorkel. You can also rent a boat to take out to the Vixen (described above).